Cinema Technology Magazine is a great place for your company to advertise. 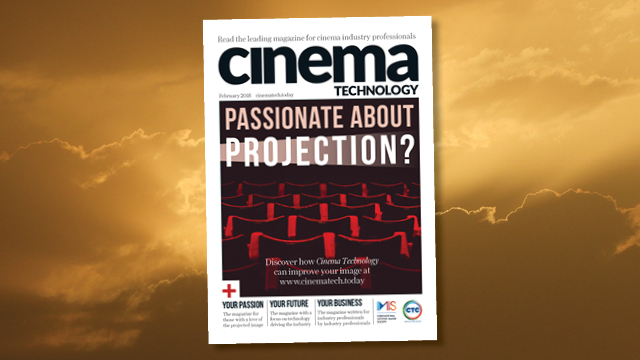 Cinema Technology Magazine is the leading specialist publication for cinema industry professionals everywhere. Read and referenced by top management and technicians alike, it is the ideal advertising medium for all those seeking to influence this important market. Cinema Technology Magazine offers advertising and promotional opportunities in print – display, recruitment, services – and online. The FREELY ACCESSIBLE online version of the print edition offers our advertisers a significant international readership with live web links – including audio, video, and animation – from their advertisements.